Russian President Vladimir Putin announced in mid-September that his country will embark on a program to introduce an array of new nuclear and conventional weapons, according to an Associated Press report. Putin's announcement came just as the Russian military successfully test-fired a Bulava intercontinental ballistic missile from a nuclear submarine. The Bulava has been plagued with problems in the past, so its success on this occasion was a cause for celebration in Russia. The Russian leader was concerned about actions taken by the U.S. and the West that are perceived as threats to his nation. He said, "We have warned many times that we would have to take corresponding countermeasures to ensure our security... I would like to underline that we only take retaliatory steps." The AP report elaborated, "Putin said Russia's weapons modernization program for 2016-2025 should focus on building a new array of offensive weapons to provide a 'guaranteed nuclear deterrent;' re-arming strategic and long-range aviation; creating an aerospace defense system and developing high-precision conventional weapons." Putin did not elaborate on the particular weapons he had in mind, but in the past, he has boasted that new Russian missiles can "penetrate any prospective missile shield." "Talking about potential threats, the Russian president specifically pointed at the U.S. missile defense program and Washington's plans to develop new conventional weapons that could strike targets anywhere in the world in as little as an hour with deadly precision." Putin's concerns about American and NATO advances in conventional weapons has caused him to place conventional weapons as one of Russia's chief areas of emphasis. Russia's comparative weakness in this area means that they have to rely more heavily on nuclear deterrence, making it possible, according to the AP, that "Russia may use nuclear weapons first in response to conventional aggression"—certainly not an outcome anyone wants to occur. 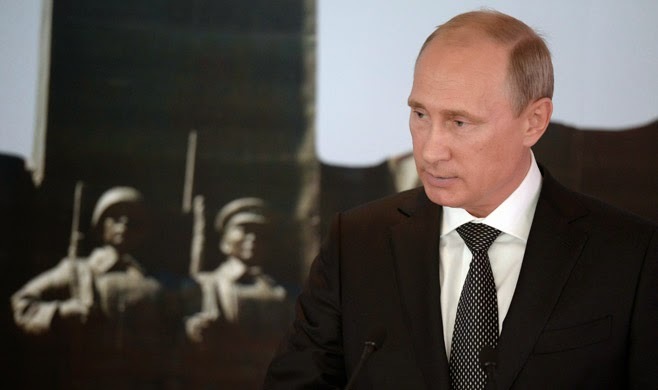 The Russian leader also emphasized that his country must rely more on domestic production for military components. The ongoing conflict with neighboring Ukraine has caused not only Ukraine but also many Western nations to cut their military-related exports to Russia. Putin emphasized that he did not wish to launch another arms race, but this certainly sounds like one. The ability of the new weapons to penetrate our missile shields will undoubtedly make it mandatory for us to improve or replace those shields. And additional conventional weapons on Russia's part will trigger the need for more on our part as well. For all nations involved in such an arms race, additional funds spent on weapons systems will invariably mean much-needed domestic projects will remain undone. But such is the price that must be paid in a world that is increasingly leaning to militarization.